pork | Happy nom nom nom-ing! Want to feel like you’re in Hong Kong without the long plane ride? Just head down the stairs of Victoria Plaza, past the seafood and meat shop and tada! Tucked away in a little corner is Victoria Noodle Restaurant. Through the glass you can see the ‘car seats’ along the side of the restaurant. These are quickly filled up as asians have this thing about sitting in the car spaces. They always seem to be the table of choice. I guess it feels like you’re in your own little private booth away from the rest of the restaurant. My cousin and I quickly made a bee-line to a ‘car seat’. We slide into our seats and are immediately presented with menus and a glass of tea for me, and hot water for my cousin (NB: They give all children hot water instead of tea). I don’t even need to pick up the menu and I’ve already made up my mind. On the wall there is their daily special set lunch menu. It’s a good deal for what you get and what they’re offering looks good. If you do choose to look through the menu, be prepared to be faced with endless possibilities. My eyes begin to spin at the many choices. I am given to task to search out a dish that my cousin loves but she doesn’t know the name of. She tries to describe it to me and after minutes of searching, success. My mum arrives and is like me, she decides to just order the set lunch. Like mother, like daughter right? 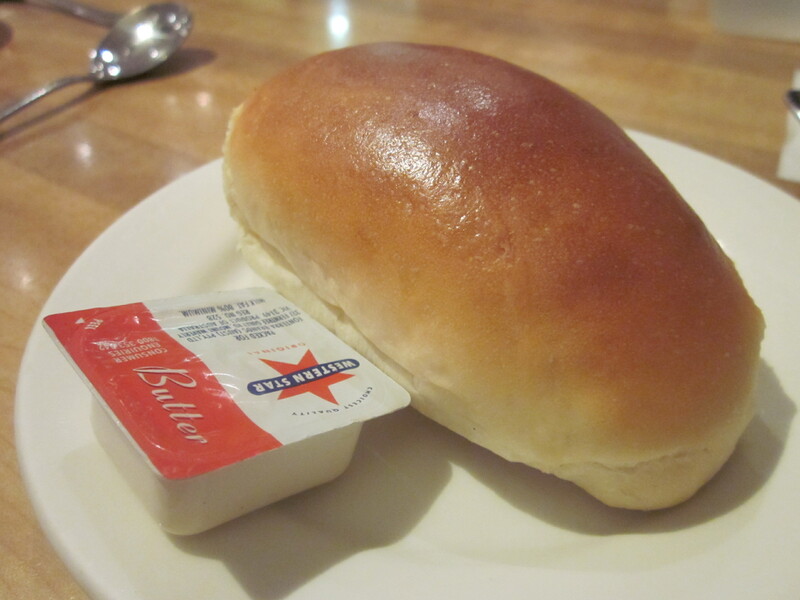 The bread roll smells so buttery and nice. The insides are pillowy soft and soak up the butter that you lather onto it. Try it with some soup, but I prefer eating it straight up. 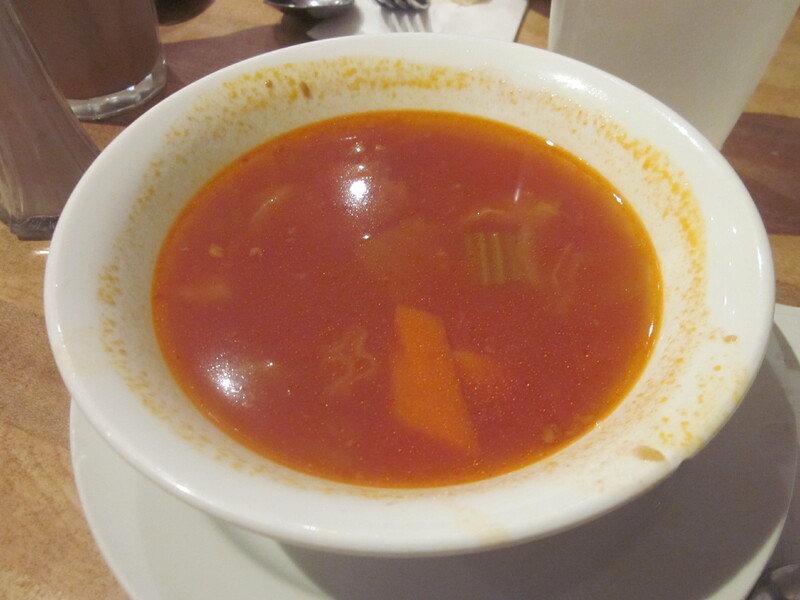 A chunky tomato based soup with beef and a variety of vegetables. It is quite light and warms up your body. It sounds like a weird combination but I love pork, and I love BBQ sauce. The BBQ sauce is not overly tangy but I’m not sure it goes well with the rice. The creaminess of the sauce is absolutely delightful. It isn’t overpowered by the garlic, I didn’t even realise it was a garlic sauce until I looked back on the menu. The chicken is nice and moist and best of all, it’s boneless. I think this would be great with spaghetti as well. This ice tea doesn’t just taste a cold glass of English Breakfast that you’ve just left on the bench. 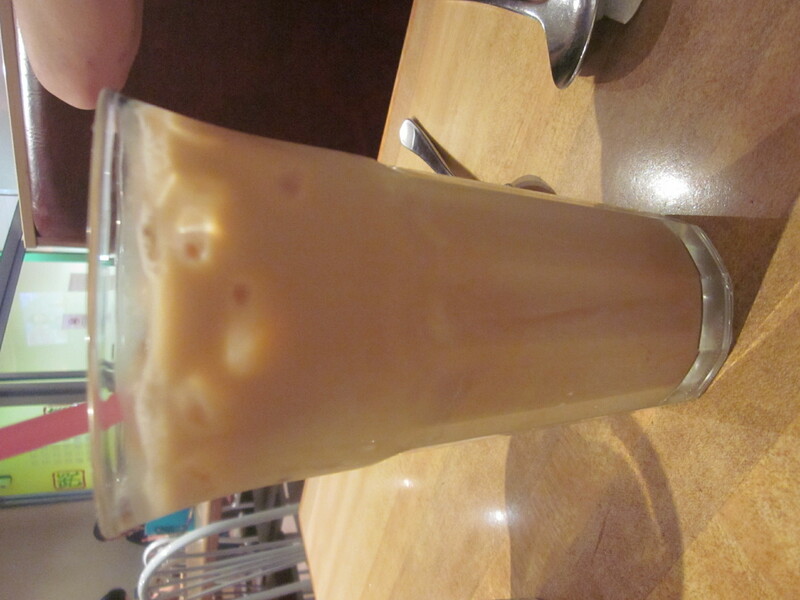 I think they use like condensed milk to give it a very smooth and silky texture. It’s just very nice. 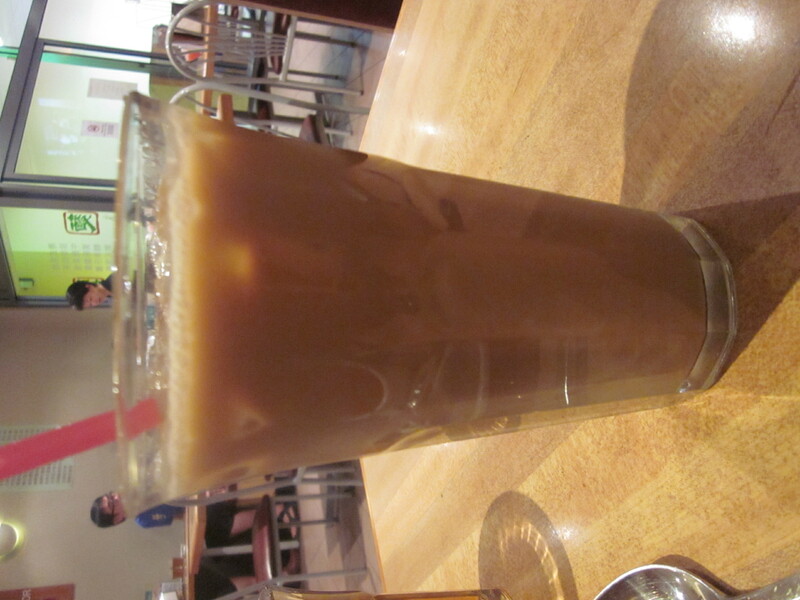 I don’t drink coffee so I can’t really say much about the coffee. The soup is very thick and creamy as expected. 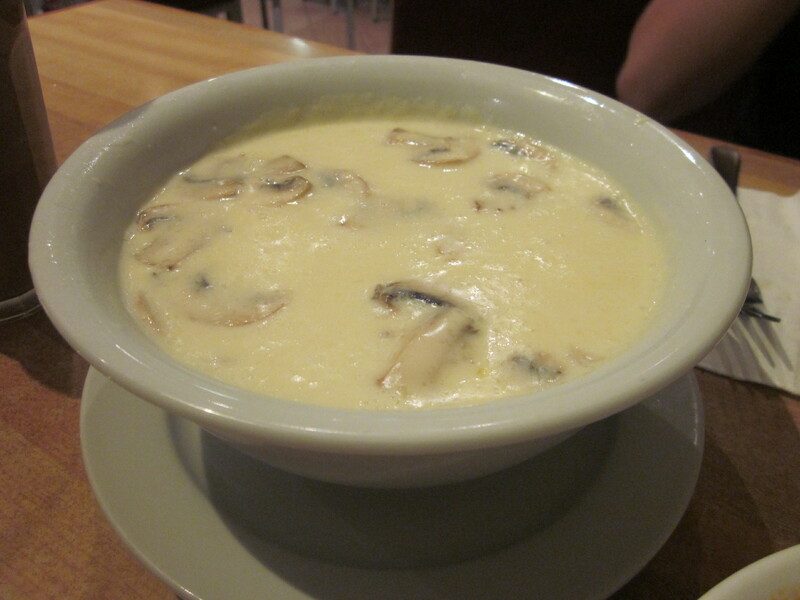 The mushroom flavour however seems to be overpowered by all the cream in the soup. Although, having said that, it was still a very enjoyable soup. The smell of this dish is just wonderful. The crisp crust from being baked makes it seem like you’re eating fried chicken, but not. 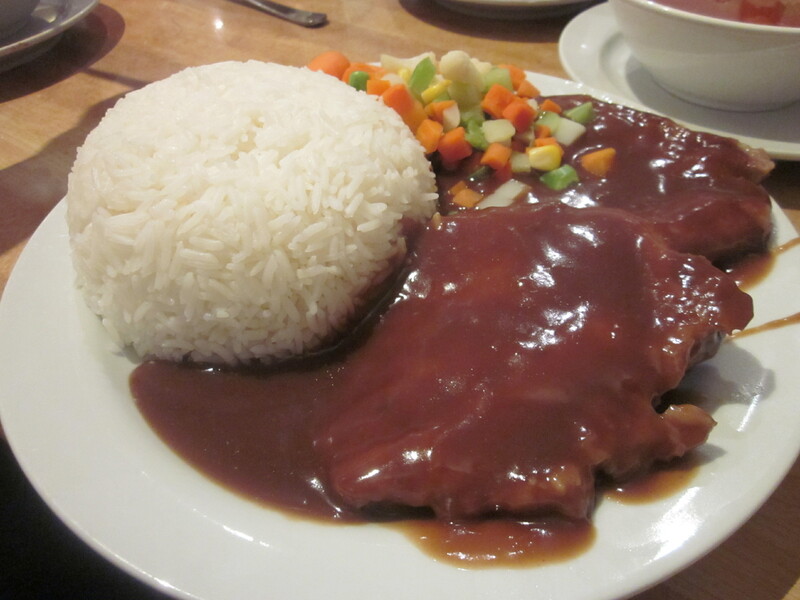 The portuguese sauce is flavourful and plentiful, there is enough to coat all the rice given to you. Overall I enjoyed my meal here. 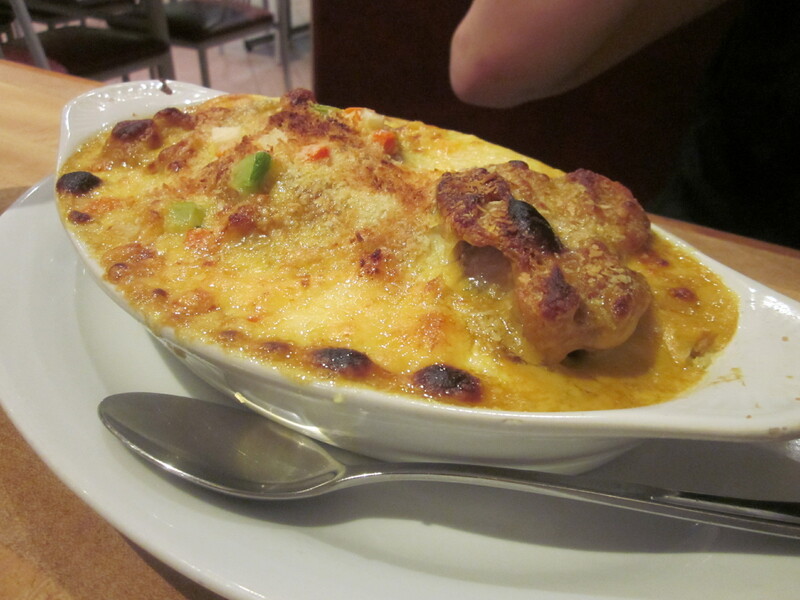 The servings are generous and the dishes are reasonably priced. As it is called Victoria Noodle Restaurant, there is obviously something unique about their noodles. Although I didn’t order it, the restaurant does offer ‘Self Choose Cart Noodles’ (they have these all over Hong Kong). 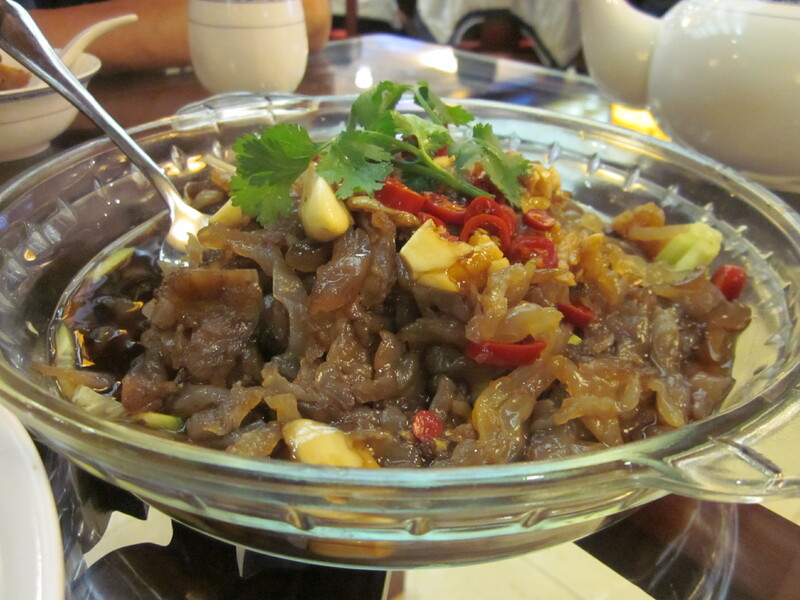 You get to choose four toppings ranging from dumplings to vegetables and you choose the types of noodles or rice. All this only comes to $11 which is not too bad. I heard from my cousin that although it may not look that big, it is in fact quite filling. I must return to try this ‘Self Choose Cart Noodles’ again, it suits me as I’m always picky about the things I want in my noodles. I’m not a big fan of spicy food. I always seem to break out in pimples if I eat too much chilli, so I try and avoid it as much as I can. I also don’t really like not being able to feel my tongue or lips when I eat food that is too spicy. 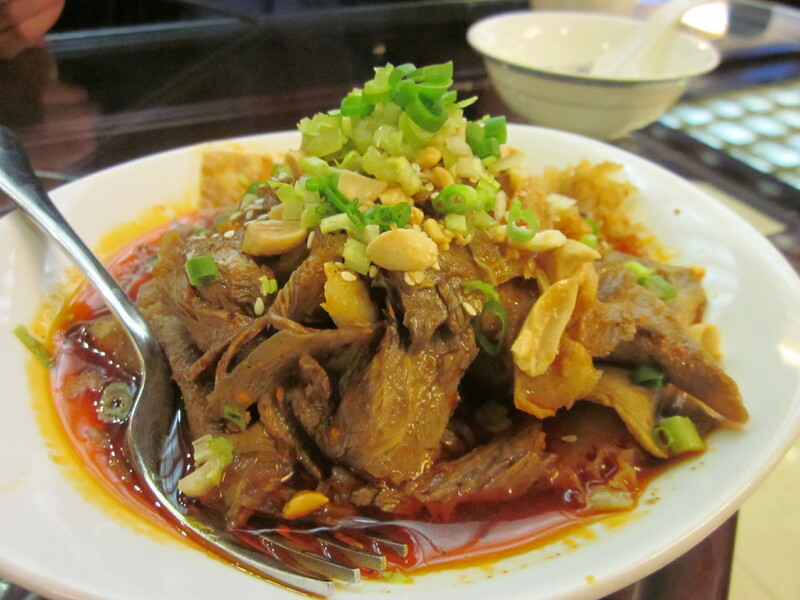 However, the call of the new Sichuan restaurant in Chatswood was too strong. Once you step into the restaurant, you are transported to China. The interior of the restaurant is decked out in furniture from China. It’s not that it’s a bad thing, it just reminds me of when I was in China at the beginning of this year. Ah, memories. However, I’m sure that we’re a lot cleaner in Australia than they are in China. We are seated at a table with a glass tabletop, it’s weird being able to see your feet while you’re flipping through the encyclopaedia of a menu. 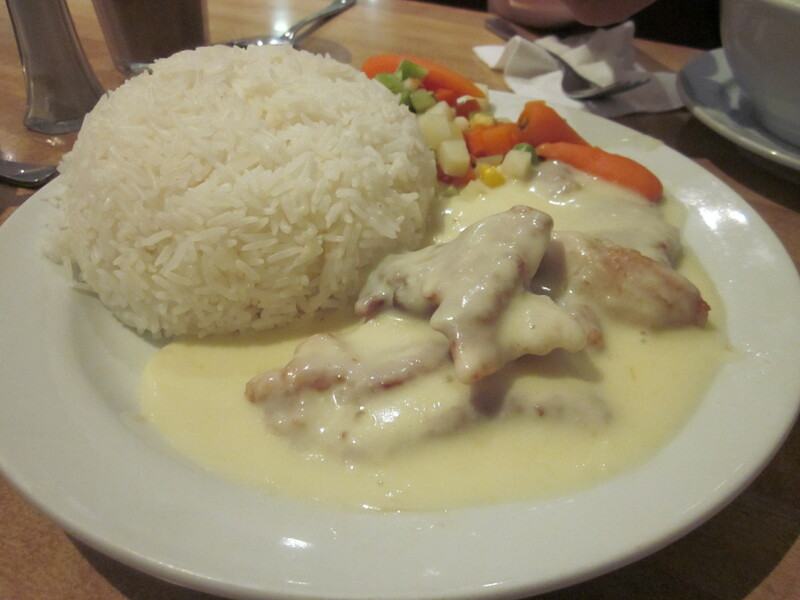 Truthfully, the menu wasn’t THAT thick, it was quite big though. It gave me the feeling of trying to read the Sydney Morning Herald on a cramped train (reminds me of a clip I saw on Chaser’s War on Everything). The pictures were great though, I love a menu with heaps of pictures. They were vibrant and making me salivate. Everything looked so good, but there was only 3 of us (the boyfriend, dad and me), so we couldn’t order too much. To my surprise, I found out that dad had never eaten Sichuan food before. Guess it makes sense, he’s not a fan of spicy food either. Nevertheless, they have a great range of spicy and non spicy options to suit all palates. Whether you’re into spicy foods or a pansy like me, you’ll find something that you’ll enjoy. Every table received complementary pickles, which is a nice appetizer as it whets your appetite. Unfortunately, I spent so much time taking photos that the boyfriend and my dad gobbled most of it up before I had a chance, and the waiter wasn’t willing to give me a little top up. 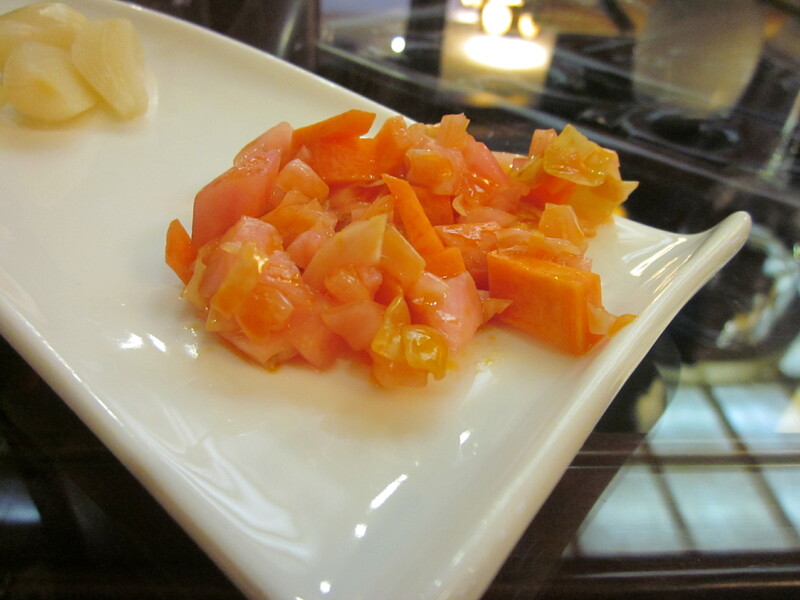 A mixture of cabbage, carrot and turnip pickled in a vinegar and chilli solution. Surprisingly the pickled garlic is quite appetizing and mild in flavour, not the pungent garlic flavour you expect. Slightly too soft for my liking, I prefer my pickles to be quite crunchy. The softer it is, the longer it has been sitting in the pickling liquid, which means it will be quite sour. Everything was very tender which contrasted nicely with the crunchy peanuts. I avoided mixing it with the chilli sauce to save myself. However, everything was in a heap which didn’t allow me to identify the 3 elements that made up this dish. It did seem like most of it was sliced beef. I love jellyfish. I think most Asians love jellyfish. Yes, the animal is weird and many would never eat it, but I think the texture and the taste are absolutely wonderful. The jellyfish has an elastic texture, yet it is crunchy on the outside. Go figure. The pork sits on a bed of sweet potatoes with a generous serving of sauce on top of this gorgeous mound. The pork is so soft and wonderful. It pairs well with the sweet potato as there is the combination of salty and sweet. 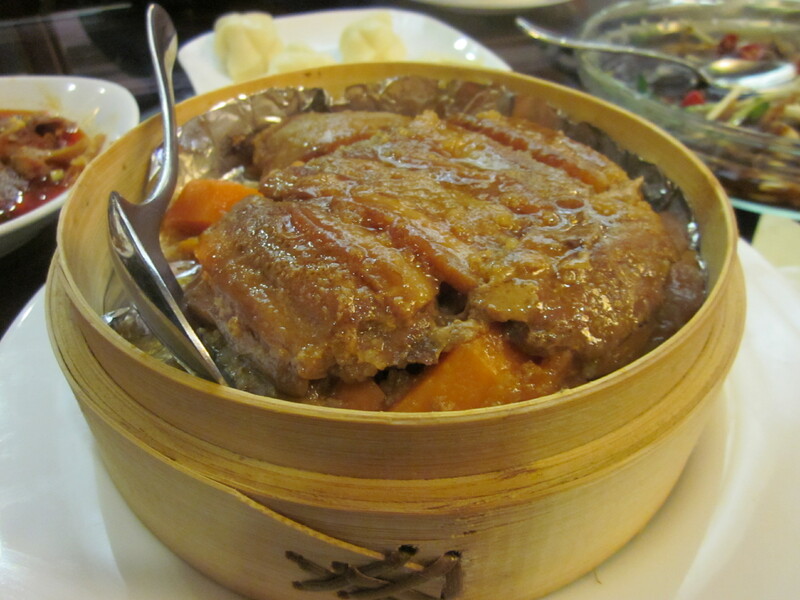 Asians love incorporating sweetness into a dish, the sweet potato’s natural sweetness played the role quite well. This acts like rice in accompanying a dish. 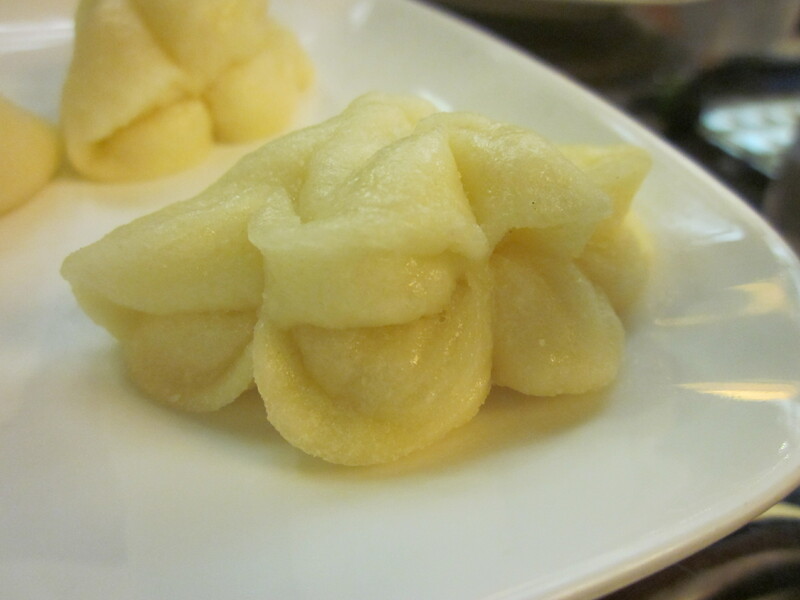 However, this bao was quite dry and hard and did not do anything to enhance the dish. The look of this dish is quite scary. 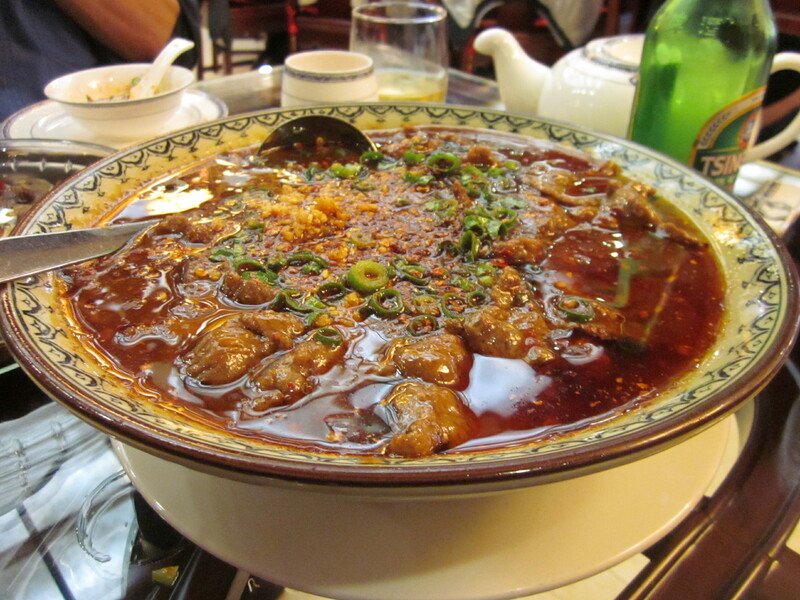 The beef is in a bowl of molten-like chilli oil. Luckily they have a slotted spoon for you to scoop out the beef without too much chilli oil attached. The beef is so soft and I guess I would call it silky. You don’t feel like you’re eating beef at all. I know this just looks like a plate of dried chillies, but in actual fact, there are small cubes of chicken hiding in the skins of the chillies. This dish just reminds me of popcorn chicken from KFC. I don’t like having to search through a mount of chillies to find a small piece of chicken. I wouldn’t call this ‘bread’, these are mantous. I live off this when I go back to China. 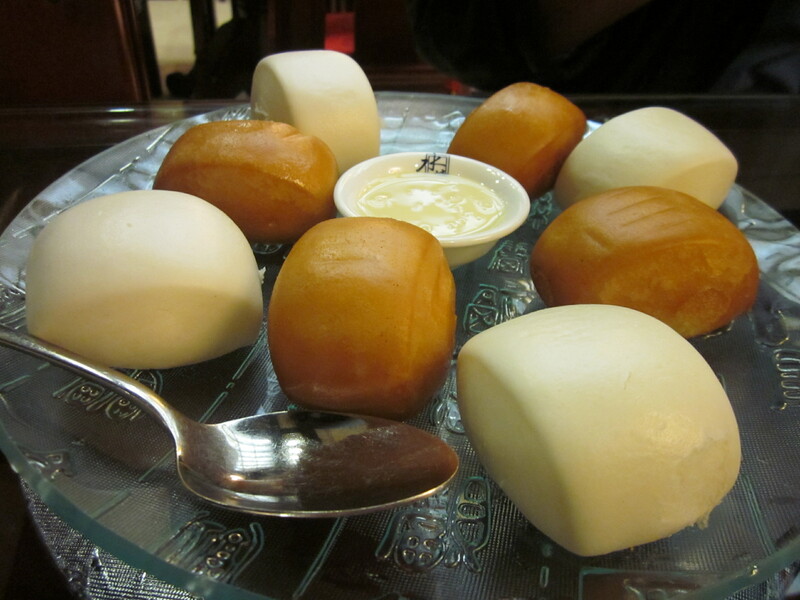 I’m more of a fan of the steamed mantou rather than the fried. The condensed milk makes this dish a dessert, but it can be also be eaten with savoury dishes as an alternative to rice. By the end of the meal, my belly is full and my lips are quite numb. The chilli has taken its toll on me even though I tried to avoid it at any chance I had. 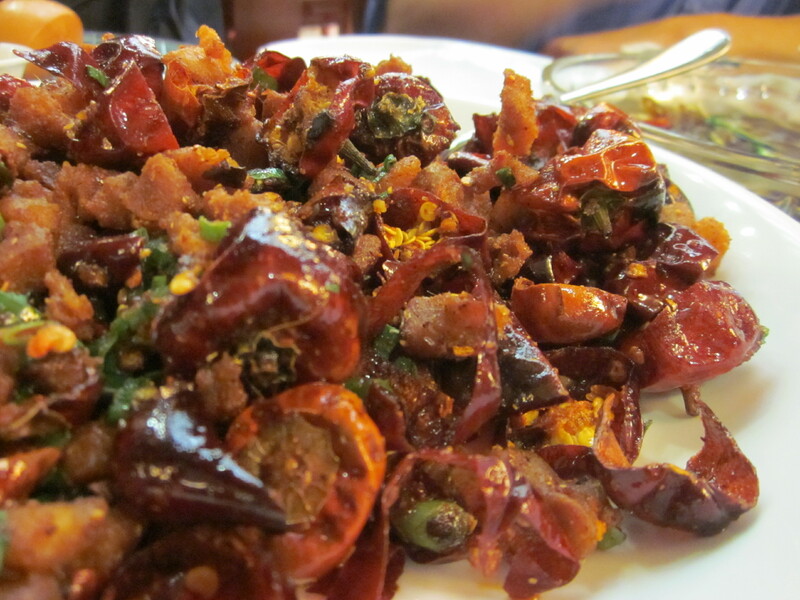 The thing about Sichuan food is that each dish may not be as spicy as it looks. However, while you progress through the meal, each piece of food you put into your mouth, even when it’s not spicy, seems that little bit more spicy. By the end of the meal, you would have felt like you ate a chilli straight up. But give it some time and you will start to feel your tongue and lips again, then you’ll want to try it all over again.